Betke Enterprises was founded in 1983 by owner William Betke Sr. Daily operations are run by brother Bob Betke, and William's three sons Bill, Doug, and Dan. 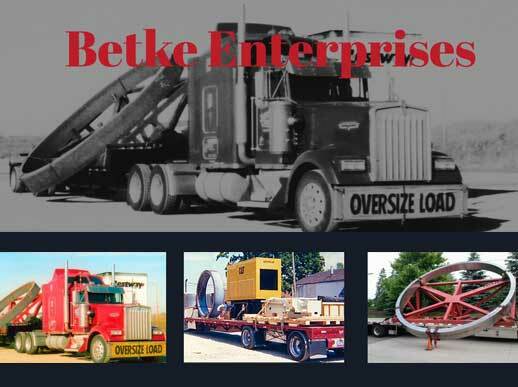 Family owned and operated since inception, Betke Enterprises specialize in oversized, heavy haul logistics and offers on-sight storage in a climate-controlled warehouse. During business hours you will always get a live Betke! We offer competitive rates and a fleet of owner operated trucks with a wide variety of trailers to assist in your transportation needs.